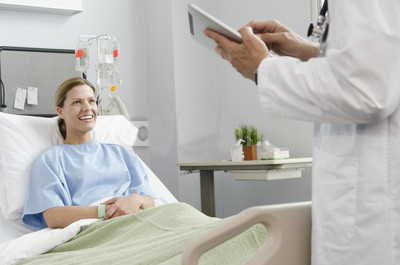 One of the many and major benefits of using electronic medical records system is the ability to streamline the entire documentation and billing process. This can significantly improve productivity and boost cash flow. Nitin Chhoda explains how to streamline your practice with a simple, efficient and integrated EMR system. Correct medical management is the key ingredient to a healthy, growing practice. The way therapists manage their clinics will determine whether they succeed or fail. Practice owners must think like business owners instead of medical providers, a task that many find difficult to reconcile with the everyday treatment of patients. Electronic medical records system offers valuable assistance and significantly lightens the load of medical management. Effective medical management of a physical therapy practice involves more than just getting more patients in the door. It means identifying problems and issues within the clinic, tracking trends, and streamlining the entire range of office procedures. Along with improving client care, superior management means being reimbursed in the timeliest manner possible. Reducing administrative costs and efforts, while planning for the future, are all earmarks of an efficiently run clinic that will experience exponential growth. The most obvious benefit of an EMR in medical management is the ability to identify where unknown problems have crept into office procedures. Time is money in the business world and a physical therapy practice is a business with all the attending problems, issues, wasting of resources and marketing requirements. Therapists who embrace the features of an EMR will see increased revenue, cost reductions, more effective marketing efforts and better utilization of resources. Therapists will first notice an increase in cash flow through faster payments via electronic reimbursement submissions. The entire medical management claim and payment system is accelerated and funds can be deposited directly into the clinic’s account. EMRs eliminate the days of waiting for claims to reach their destination and the return of paper checks that must then be physically transferred to the bank. EMRs provide clinics with the means to capture one-time and recurring payments online via credit or debit cards. Clinicians can easily determine the best payers through the metrics available in an EMR. Therapists can ascertain each client’s insurance coverage and eligibility for services, and have the data entered long before the patient’s appointment, allowing for quicker medical management billing and coding that attains a new level of accuracy. Information is power and EMRs place a wide range of data at a therapist’s fingertips to evaluate medical management staffing needs and deploy clinicians where they’re most effective. It may be possible to eliminate employees or practice owners may discover they can add staff to expand services into spas, corporate and home health programs, and senior facilities. EMRs provide data that equips therapists with medical management information on local and national demographics, along with treatment trends, that can be used to formulate streamlined and more effective marketing campaigns that target groups by age, gender, location, services or insurance providers. The ability to communicate with clients via multiple methods, including voice and text messaging, offers clinics 21st century technological tools with which to work. The term paperwork is destined to become obsolete with EMRs that record and store documents digitally. As therapists fine tune their EMR documentation software to reflect their individual practices, medical management in all its many facets will become more streamlined and efficient than ever before, allowing clinicians to market their clinics more effectively, increase cash flow and manage practices for greater efficiency and profitability.